A bowl of hot oatmeal for breakfast is not only satisfying and filling, it also gets you off to a great start because of its numerous health benefits. 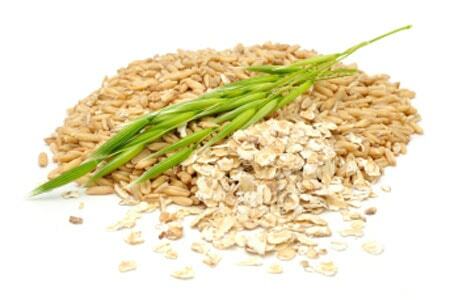 Oats are a type of cereal grain that has been cultivated for over two thousand years, and has numerous uses in food. They are most commonly made into oatmeal, which can then be eaten as porridge or added to baked goods, or ground into oat flour and incorporated in baking. 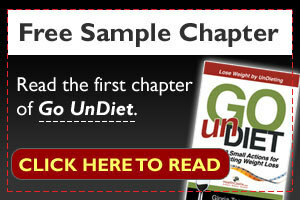 As one of the gluten-free grains, oats can be safely tolerated by those who must avoid gluten in their diet. There’s no doubt that the look of oats is unglamorous, but fortunately most of us are aware that oats benefit us in a multitude of ways. Besides being a good source of high quality plant-based protein,Vitamin E, zinc, selenium, copper, iron, manganese and magnesium, oats are perhaps most well known for their high fiber content (when the whole grain, including the oat bran, is eaten). The soluble fiber in oats, beta-glucan, has been shown to reduce LDL cholesterol and help stabilize blood sugar. Harvard researchers who conducted the Physicians’ Health Study found that men who ate a bowl of whole grain cereal (such as whole oatmeal) daily had a 29% lower risk of heart failure. In addition, the phytochemicals in oat, such as avenanthramides (a type of antioxidant), has been shown by Tufts University researchers to help prevent free radicals from damaging LDL cholesterol, thus reducing the risk of cardiovascular disesase. Steel-cut oats: Gaining in popularity in recent years, steel-cut oats have a a dense and chewy texture. They are produced by running the grains through steel blades that thinly slice them. Oat groats: Whole, minimally processed, unflattened kernels of oats. They can be cooked into a porridge, or incorporated into baked goods. Since they are unprocessed, they will take longer to cook – but the upside is that the nutrient density will also be higher. Old-fashioned oats: These are steamed and then rolled, and have a flatter shape. Quick-cooking oats: Like old-fashioned oats, quick-cooking oats are also steamed and rolled. The difference is that they are finely cut before rolling. Instant oatmeal: The oats are first partially precooked, rolled, and then dried. As a result, they cook much faster. Some manufacturers may also add other ingredients such as sugar or salt to instant oatmeal. Oat bran: The outer husk of the grain that resides under the hull. Oat bran is available as a separate product, which can be used to add texture and flavor to baked goods, or simply to boost fiber content. Oat flour: Ground oat grain that is used primarily in baking. According to PepsiCo dietitian, Lindsey Toth, MS, RD, although there is no difference in soluble fiber content between old-fashioned, quick-cooking, and steel-cut oatmeal, the same cannot be said for the various types of instant oatmeal. Depending on whether whole grain oats are used as the main ingredient, and whether the manufacturer decides to add extra fiber to the instant oatmeal package, the fiber (and soluble fiber) content may differ. Always refer to the nutrition label to ensure you are buying healthy and wholesome oatmeal. The best way to enjoy oats is to start your day with a steamy bowl of oatmeal porridge served with nuts and/or fruit. Adding oat flour or whole oats to your baked goods adds a wonderful nutty flavor. Throw some oat bran into your cookies, muffins, salads, cereal, etc., to kick the nutrition and fiber content up a notch. Try using oat groats as the stuffing for poultry.